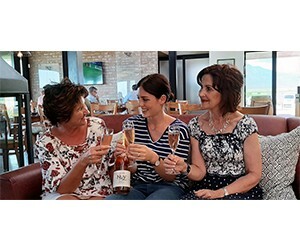 Nuy Winery and Nuy on the hill restaurant wants to help you treat your mom this Mother’s Day, Sunday, 12 May. Not only can the whole family enjoy a scrumptious meal, but moms will receive a complimentary bottle of Nuy Muscat Semi Sweet Sparkling wine to make their day extra special. Chef Wilna van der Westhuizen and her team will prepare a delicious traditional Sunday lunch at only R295 per person (subject to change). Nuy on the hill is situated on the hill at the Nuy Valley turn off on the R60 between Worcester and Robertson. For bookings or more information contact Nuy on the Hill on at 023 347 0272 oronthehill@nuywinery.co.za.